It's been a long time coming but I'll be a long time gone! 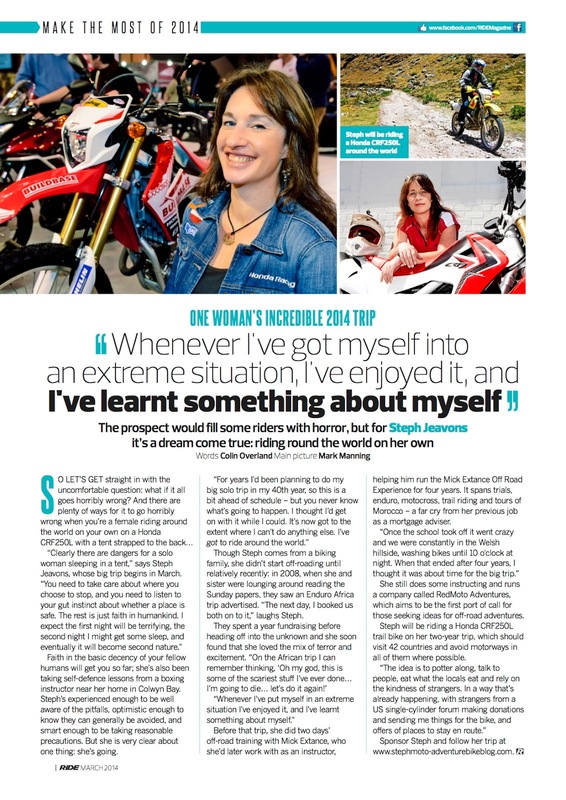 On Occasion of the cafe's annual Overland & Adventure Bike Day, Sunday 23rd March, Steph Jeavons will be departing the Ace on a solo overland adventure, riding a Honda CRF250L, with the aim to become the first British woman to circumnavigate the globe - 6 continents are required to accomplish this record! I'm still not totally happy with my kit list. I think you can do overkill on this and you can never prepare for every eventuality so this is a start. The thing to remember of course is that you can buy pretty much anything anywhere these days and so I do wonder if I should leave some of this behind. Parts and tools are taking up a 20 litre bag at the moment (I only have 15 for my clothes) and so I think I am going to get rid of some of this and leave it with someone who can post it out to me if I am desperate for anything. All this stuff fits in to 80 litres of Kriega soft luggage. I have 2 x 15 litre bags either side, a 30 litre on top and a 20 litre on top of that (this is the bag that I would rather have empty for when I am stripping off layers or buying food etc). I also have a ruck sack which I will keep fairly light. Getting high on the white stuff! Having suffered for the last two months with a recurring back injury I have had to give up on my running and do a little gentle walking and swimming instead. Yesterday I decided to push a little more and go for a gentle stroll in the mountains of Snowdonia. One of my favourite places in the world. My big mistake was to meet up with a couple of friends for breakfast before I left. They were also going to do a walk in the hills so I decided to join them for part of the way and turn back when I felt my back struggling. Build up gently. That was the plan. How naive am I?? My friends do not let me just stop and turn back! How many times have they got me with that one? " Come for a drink Steph. We're only having the ONE pint"! 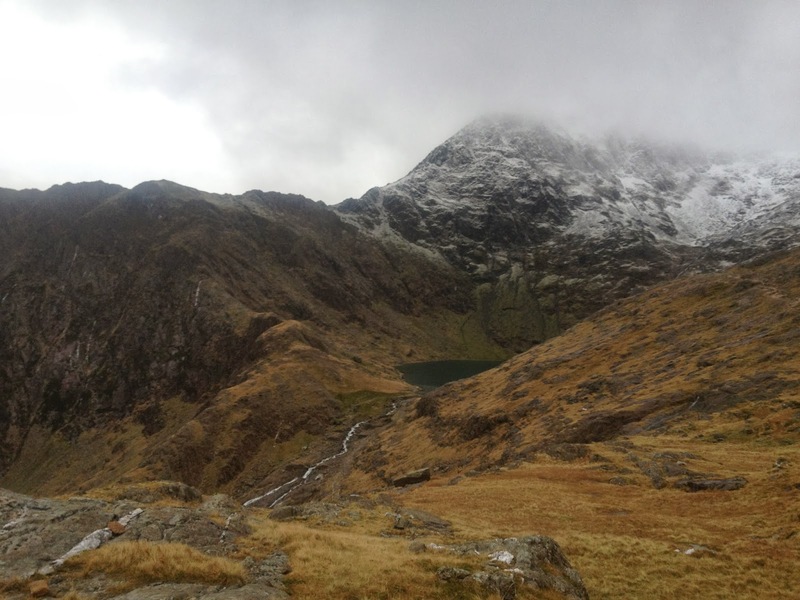 A short walk in the hills became climbing Snowdon to the snow covered summit.